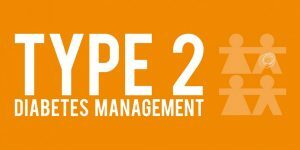 Webinar: Poorly controlled type 2 diabetes mellitus: A challenge for General Practitioners? Doctor Mark Murphy delivered our sixth webinar titled “Poorly controlled type 2 diabetes mellitus: A challenge for General Practitioners?”. Dr Murphy discusses the new guidelines by the ICGP, cycle of care, poorly controlled type 2 diabetes mellitus, medications and the DECIDE study through out the webinar. Click here to listen to Dr. Mark Murphy’s webinar.